Inventory At The Waterview in Rosslyn — Zero. Zilch. Nada. Or…? The two available listings at one of my favorite buildings are now under contract and it looks like The Waterview in Rosslyn has nothing available for the first time in the building’s history. Or so it would seem. This trend is indicative of the market in general. Where once buyers had their pick of several units at competing buildings, inventory is so low that many buildings are indeed “sold out” and those that aren’t don’t have the desirable inventory options they once had. The better the unit, the harder it is to find on both sides of the river. Even the massive penthouse that languished on the market for many months landed in a bidding war as buyers realized the party was over and had to jump to acquire it when the first offer came in. The result? A cash sale $250,000 over list price that closed in 10 days. It doesn’t pay to wait! Living At The Waterview Is World Class At Its Finest. The Waterview is a boutique building with just 134 residences boasting large sun-filled floor plans flanked by floor-to-ceiling walls of glass with incredible views of DC and the Potomac River. Lavishly-appointed kitchens feature granite countertops and commercial grade, stainless steel Sub Zero, Viking, Miele and Dakor appliances. Grand bathrooms offer creature comforts like soaking bathtubs, stone floors and towel warmers plus fixtures by Kohler, Waterworks, Grohe and Dornbracht. 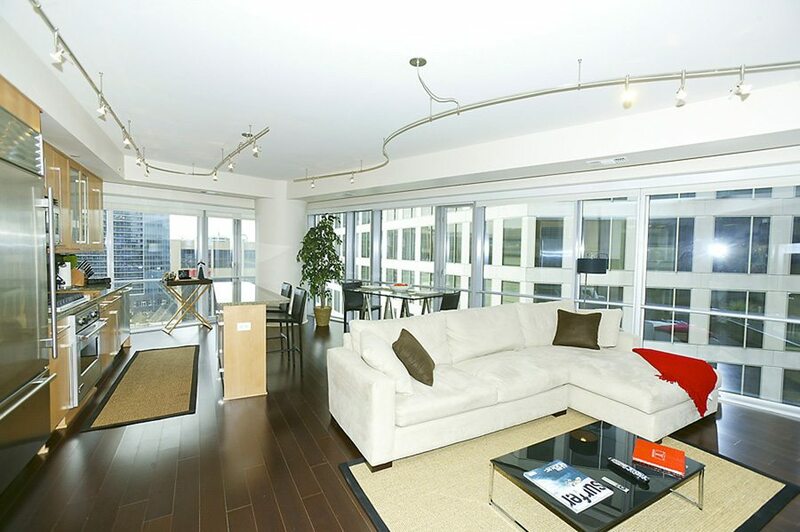 My first listing is one of the sought-after A-line properties, The Waterview #1708. 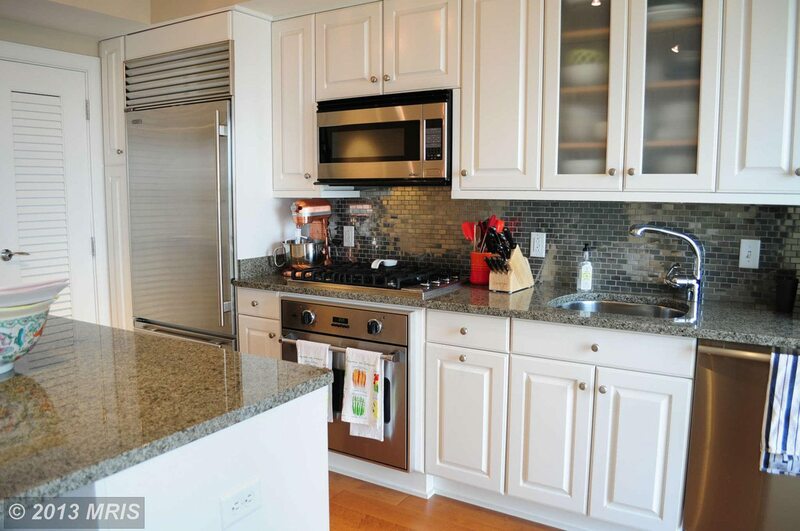 Dramatic curving walls of glass with direct Potomac views set the stage for this smashing 2-bedroom 2-full-bath property. Its corner location enhances the bright and open living space with two wonderful exposures and. Gorgeous Brazilian walnut floors greet you at the door and run throughout the main living space. An open kitchen with custom cabinetry, granite counters and stainless steel appliances will satisfy the gourmet in you while keeping you at the center of things. A split bedroom configuration provides privacy, each with its own marble and granite bath. The master bedroom and bath also feature direct river views. Abundant closet space, a full size Bosch washer and dryer and a deeded garage parking space are additional pluses. The price? $899,000! Unit #2309 is a smart one bedroom with stunning water views through floor-to-ceiling windows overlooking Georgetown and Key Bridge. An open kitchen layout boasts high-end stainless steel appliances, center island, gas cooking and microwave. All of the kitchen and bath cabinetry have been redone in white to make the space modern and bright. The bedroom features a stylish built-in headboard and floating side tables. A marble bath completes the picture. $589,000 will make it yours. When a search shows no properties available in a specific building, ordinary agents sit passively by and wait. At Life At The Top, we see opportunity. With our knowledge of The Waterview, we contact owners directly whose properties meet your requirements and offer them a ready-made sale. The result is a purchase that’s offered to you and only you. Luxury Hotel Style Living At The Waterview. Soaring twice as high as the legal limit in DC, The Waterview penthouses and luxury condominiums offer stunning views of the Potomac, Key Bridge and the monuments of Washington through floor-to-ceiling windows high above Arlington’s Rosslyn neighborhood. Also, the 31st floor observation deck offers lounges, fireplaces and dining areas where residents enjoy panoramic views of the city while the elegant Le Meridien Arlington Hotel awaits below. In fact, The Waterview is one of my three selections in The It Buildings for Best Views. Building amenities include room dining and spa services available from the hotel, 24/7 concierge, garage parking and a rooftop terrace. With spa and pampering services at your fingertips, you’ll enjoy the luxury of having it all in-building and at your doorstep. Living in Ultra Convenient Rosslyn. 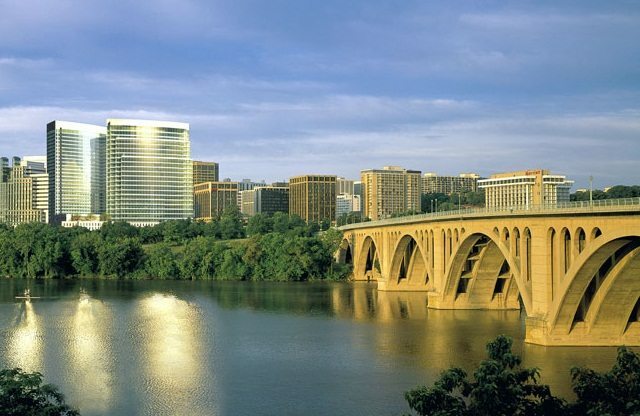 The Waterview is located in Rosslyn, VA, with convenient access to Georgetown, downtown Washington, and Alexandria. The Waterview is a short metro ride to Washington’s business corridor, the Capitol, and Ronald Reagan National Airport and soon to be metro accessible Dulles International Airport. You can walk into Clarendon where tons of shops and restaurants await or cross Key Bridge into the heart of Georgetown for the city’s finest dining, shopping, theater and the arts. Like The Waterview? Consider These Similar Buildings. For more information about The Waterview or to discuss buying or selling a luxury property in the Capital Region, just contact me, Jeff Wilson, at your earliest convenience.